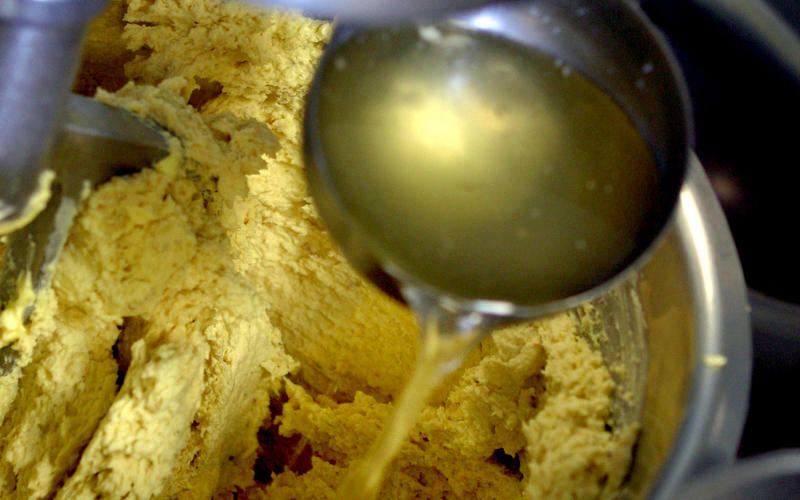 Step 1 In the bowl of a heavy-duty mixer, combine the butter and margarine. With the paddle attachment on high speed, whip for 2 minutes, or until fluffy. Lower the speed to medium and add the fresh masa alternately with 1 cup of the stock, then add the salt. Beat until well mixed. Step 2 Return the mixer to high speed and whip for 3 to 5 minutes, until the masa is the consistency of spackle. If necessary, add more stock, one-fourth cup at a time, until the correct consistency is attained. In Recipes-list.com we have selected the most viewed recipes from category - Sauces and condiments . Enjoy the best recipes specially selected for you! Basic fresh masa is the right choice that will satisfy all your claims.